Are UK food safety standards under threat? 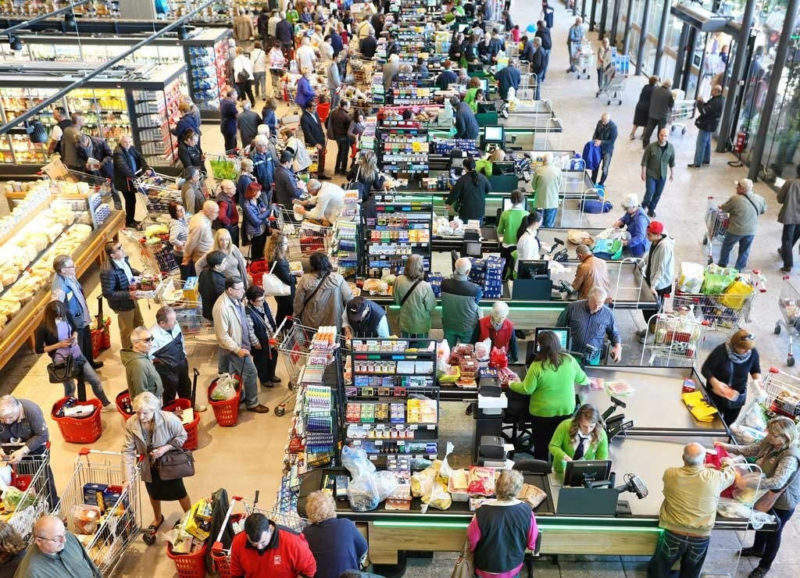 The largest supermarket chains in the UK had to recall a number of products this year. Image: Paul Townsend. 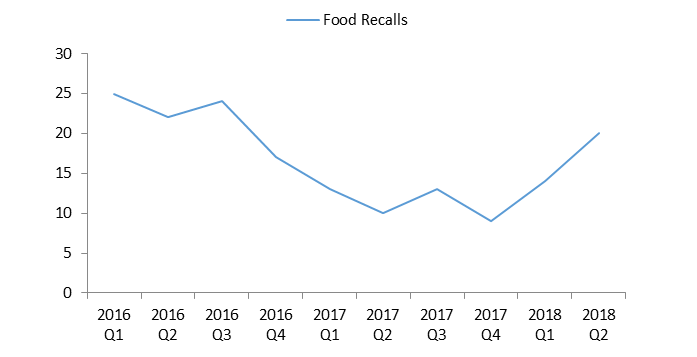 The UK food safety regime seems to fall short, as the number of food recalls and notifications has been increasing over the last years. According to the Food Standards Agency (FSA), there were 34 food recalls in only the first half of 2018, while there were 45 food recalls for the whole year in 2017. The largest supermarket chains in the UK had to recall a number of products this year; the massive recalls of frozen vegetable contaminated with listeria a few months ago, and most recently the recall of organic almonds due to the presence of salmonella justify rising concerns over food safety standards. This situation becomes even more concerning on the grounds of Brexit impact, with food standards to fall further unless a strict food standard regime replaces that of the European Food Safety Authority. The largest share of incidents (15%) recorded from April 2016 to March 2017 was of pathogenic micro-organisms contamination concerns, followed by incidents related to poor quality controls (6.5%), mycotoxins contamination and foreign bodies (5.5% each). Approximately one out of five food incidents are related to meat products, with fruits and vegetables following at nearly 10% of incidents. The FSA estimates that every year, one million people are affected by a foodborne disease in the UK, with the annual cost for the economy estimated over £1bn. According to the same source, while foodborne disease-cases caused by four major bacterial pathogens (Campylobacter, Salmonella, Escherichia coli, and Listeria) had been declining in the 2012-2016 period, food-poisoning cases related to Campylobacter (responsible for gastroenteritis) and salmonella were slightly increased in 2017. 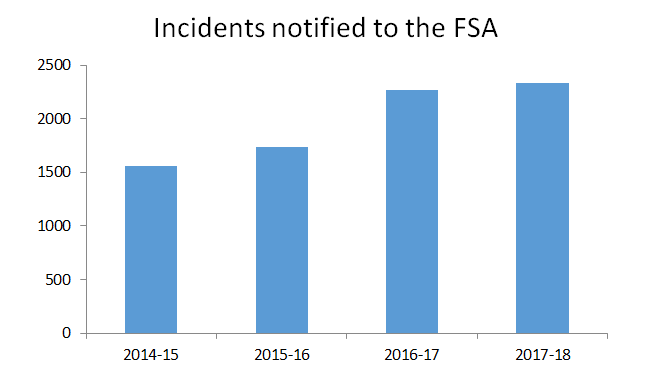 Indeed, the number of Salmonella-related food product notifications to the FSA has increased from 99 in 2013/14 to 139 in 2016/17. This increase is attributed by the FSA to the import of contaminated pans from India. However, according to the Rapid Alert System for Food and Feed (RASFF) of the European Commission, it is the largest share of the total of food products notified as suspicious that come from developing countries, mainly India, Brazil and China. The crux of the issue seems to be the intense competition of supermarket chains needing to fill their shelves with products that are low on price – which can often extend to also being low on quality. As the UK is reliant on food imports, and the pound has become significantly weaker against other main currencies, suppressed margins and inflation on food products has forced supermarket chains to source products from countries with lower food-quality standards. Brexit has further implications on this matter; a negative deal outcome regarding tariffs applied to food imports from the EU means that food retailers would seek lower price (and quality) supplier-alternatives sourced from countries outside of the EU. These alternatives would be less restricted given that the strict food standards currently based on the European Food Safety Authority will no longer apply, as the food industry considers these standards as excessive. Moreover, since the total responsibility for food standards will fall into the FSA alone, food safety in the UK will be threatened unless there is a major allocation of public funds for this purpose. Flavourtech provides companies worldwide with aroma recovery, evaporation, and extraction technology, which allows clients to differentiate their products. CHALON MEGARD manufactures highly mechanised equipment for cheese and dairy food processing facilities, including applications such as whey, curd, and milk treatment.